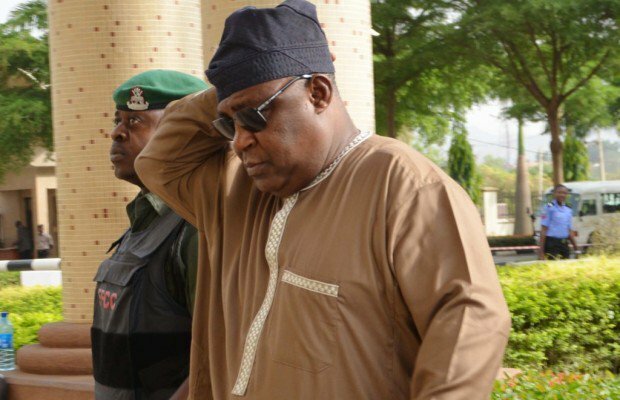 There are indications that the Federal Government has converted the 1.1bn mansion seized from the immediate past Chief of Defence Staff, Air Chief Marshal Alex Badeh (retd) to office. The property, which is located on Plot 6 Ogun River Crescent, Maitama, a highbrow area in Abuja, is currently being used by the Presidential Committee on the North-East Intervention, headed by Lt.-Gen. Theophilus Danjuma, a former Minister of Defence. The warning inscription, ‘EFCC, Keep Off!’ which was written in red ink on the fence, had been deleted, Punch reports. On10 counts of money laundering bordering on alleged fraudulent removal of about N3.97bn from the Nigerian Air Force account. A former Director of Finance and Account of the Nigerian Air Force, Air Commodore Aliyu Yishau (retd. ), who is a prosecution witness against Badeh, had informed the court that while Badeh was the Chief of Air Staff, he routinely helped Badeh to divert the sum of N558.2m by converting it to its dollar equivalent.